Earth Day is a great time to plan some fun with education for some action-oriented activities. 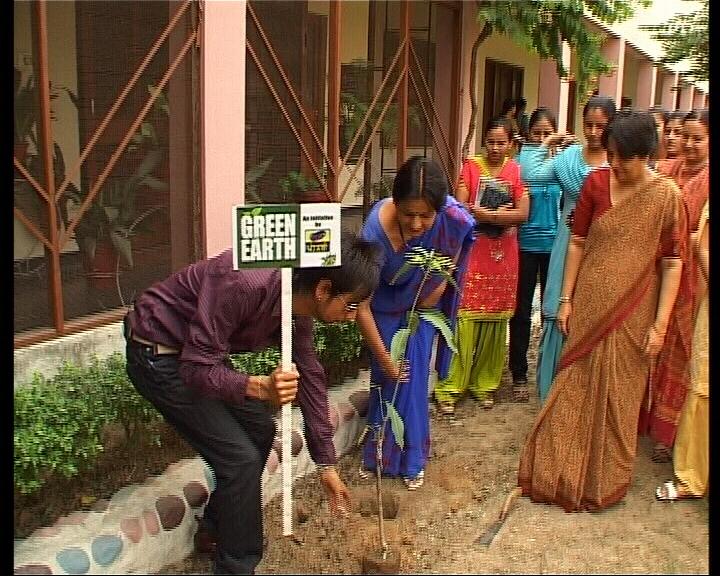 Celebrating Earth Day by ETC Channel Punjabi on April 22 was indeed a unique way; to showcase classroom environmental education, highlight efforts to green the college facility and engage the whole college community in making a difference. The first-of-its-kind activity by a Punjabi Channel offered ample opportunities to inseminate a campaign and make a tangible environmental impact by the brewing youth of our society. The CSR activity shall seamlessly enable students to see that their learning is relevant to their world, to take pride in the place in which they live, to connect with the rest of the world in a natural way and to develop into concerned and contributing citizens. Join the MASTI DA FUNDA CLUB for Green Earth initiative on Facebook.